Meribel has loads to offer when it comes to dining out. 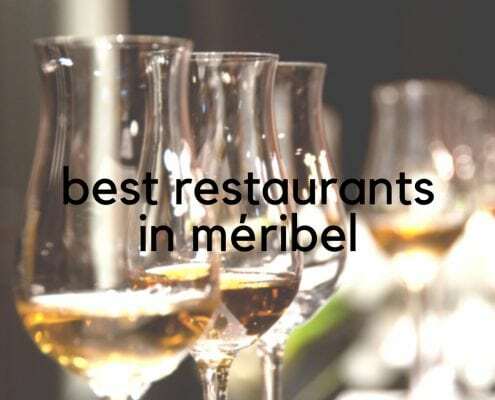 With a variety of restaurants offering everything from cheese to Indian to a hearty burger, you can find what type of food you’re looking for in Meribel. Because let’s be honest, a ski holiday is not just about skiing – it’s also about the food! Here are the best restaurants in Meribel, no matter what you’re in the mood for. 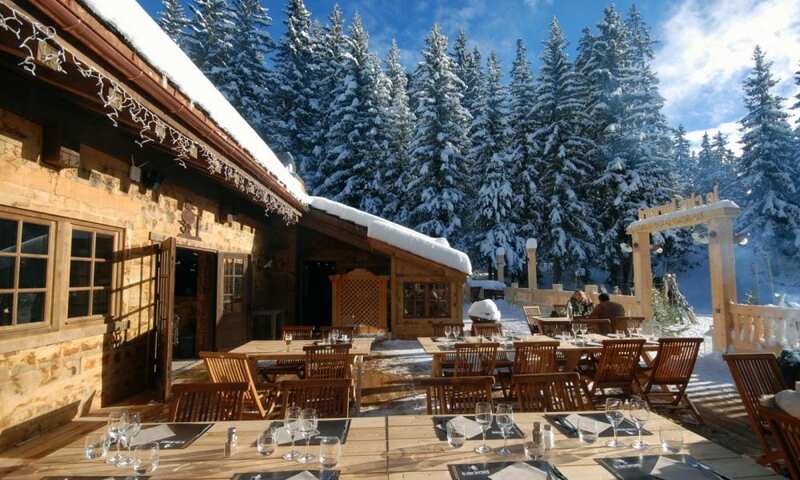 Located in Meribel 1600, Aux Petits Oignons offers a warm, relaxed atmosphere. With low lighting and lots of candles, you’ll feel extra cosy near their roaring log fire in the centre of the room. The menu has a lovely mixture of various meat dishes – we have to say, the lamb shank is to die for! They also offer a 3-course lunch menu for just 15€ which you can enjoy on their sunny terrace in the springtime. If meat is your game, and good meat at that, look no further than Chez Kiki in Morel. Just above Méribel centre, it’s easily accessible via the free buses. The cosy atmosphere is set around an open fire, where the various meats on offer are cooked. They also have a petit Kiki menu, perfect for smaller tummies. Finish off a day’s skiing with good wine, escargot and a cote de boeuf! They also have fish options, but this isn’t the most vegetarian-friendly option. Tapas in a French ski resort? Why not? If you’re looking for a change from the typical fondue and filet options, head to Copiña for some Spanish flavours. 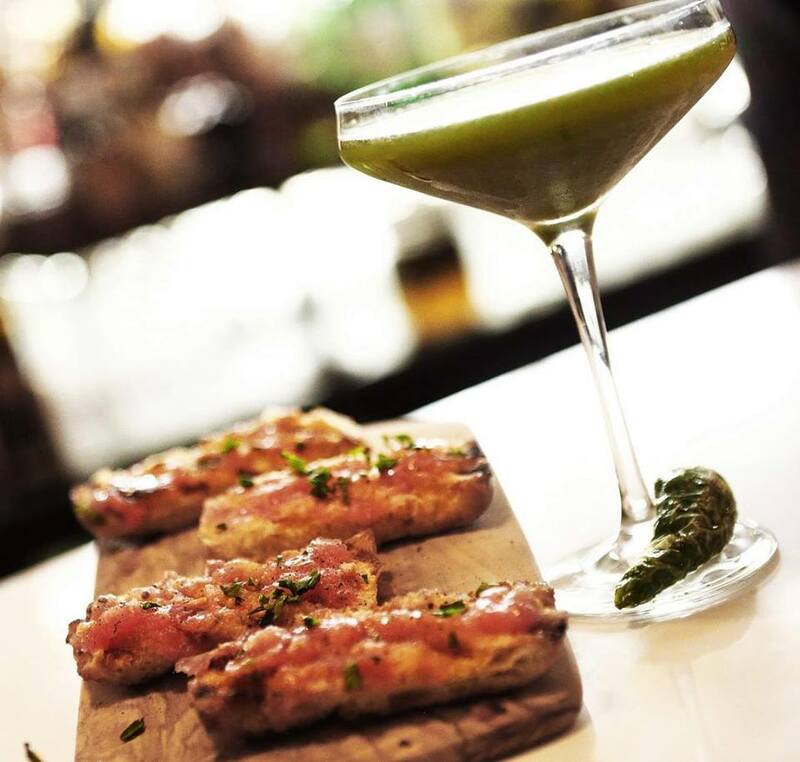 Choose a yummy drink from their speciality cocktail list and indulge in a smattering of tapas. A few favourites are the calamari, stuffed peppers and croquetas. With a buzzing atmosphere and funky interior, you certainly won’t feel like you’re in France anymore. Want to hit up Méribel’s après scene? These bars are not to be missed. Just next to the bus stop in Les Allues you will also find the restaurant L’Arbe for a quieter and cosier setting with excellently priced food! If heading out for a family meal and you just don’t seem to be able to agree then the Flambee is well worth a visit. From meat and daily specials to pizza and raclette, it will easily satisfy the differing taste buds within the group. With cosy classical Savoyard decor it’s a firm favourite! Raclette? Fondue? Vacherin? Basically, cheese is what is the appropriately titled La Fromagerie has on offer. Plus, you have to have a cheese dinner whilst in France! If you’re wanting to get involved in this delectable past time, this is the place to do it. There’s little else going on on the menu so go being prepared for cheese. From the smell as soon as you open the door to the smell of your coat the morning after, there’s bottomless potatoes and bread and all the cheese you can eat – there’s little more explanation needed. 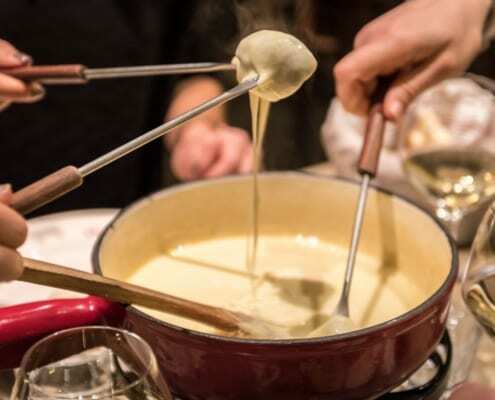 Situated in Meribel centre you’ll certainly be able to satisfy all cheesy needs. Need to get to grips with skiing your first day back. How to find your ski legs in Méribel. If you’re after a casual dining experience and a happening atmosphere, head to La Taverne. Based smack in the centre of Meribel, this is a modern bistro-style restaurant that serves breakfast, lunch and dinner. They offer various meat dishes, burgers and cheese options along with a kids menu and daily vegetarian specials. You can’t go wrong here. Over in Meribel Village, just a short bus ride from Meribel centre, you’ll find the recently refurbished La Terrasse restaurant. With a shiny new menu to match their new decor, this place serves up a great gastro-experience. They offer classic Savoyard dishes and pizza. And if you want to keep the party going into the evening just head upstairs to Lodge du Village aka LDV for some happening nightlife. If you’re after a little bit more theatre then Le Clos Bernard is the place for you. Ski through the forest near the Altiport to reach this picturesque setting nestled amongst the trees. This is a great lunch spot with a huge terrace and outdoor firepits. They also host a themed evening once a week with dancing, candles, flaming torches and vin chaud. With an extensive and varied menu, you’re sure to find something to suit. We recommend ordering steak so you can watch them cook it on the large open fire in the middle of the restaurant. Not for those wanting cheap grub but definitely a lasting memory. Looking for more restaurants on the slopes. These are the best in the Three Valleys. If you’re looking for pizzas and pasta for little ones, L’Igloo a great spot with a quirky atmosphere. You will feel like you’re in an igloo! Very reasonably priced menu that will keep even the pickiest eaters happy. Further down the hill in Les Allues is the Tsaretta Bar and Grill. This is a pub type setting on the ground floor with a restaurant up above. Serving a mixture of burgers, pizzas and a variety of Asian dishes, this is a lovely casual setting. With live music on regularly, this is a great place to grab a pint and sit back and relax. 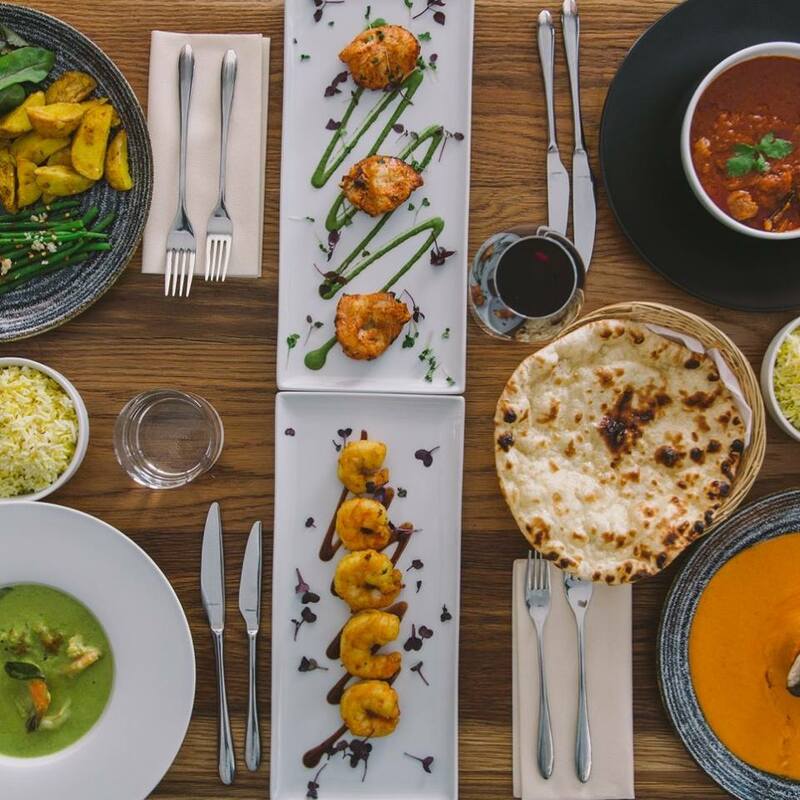 Satisfy your curry craving at this new Indian restaurant, Tsaretta Spice. The chef formerly working in some of the UK’s finest Indian restaurants such as Dishoom and Bombay Brasserie, and his food is top notch. Onion bhajis to die for, tandoori chicken and all of your usual suspects as well. As well as a nice wine list, this is a bit more upscale than your average curry house in the UK. You will, however, pay Meribel restaurant prices here, so leave your expectations of a cheap curry-house takeaway behind. That being said, the lovely atmosphere and delicious food make up for it. And let’s be honest a change from cheese every once in a while is nice!